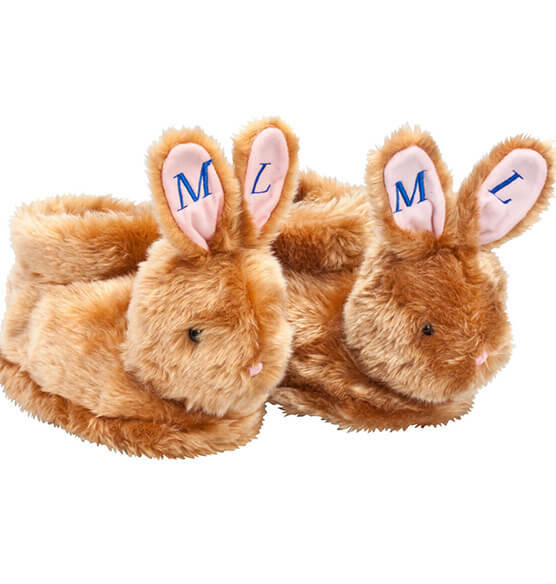 Little feet and toes keep toasty warm in these adorable personalized Easter bunny slippers. 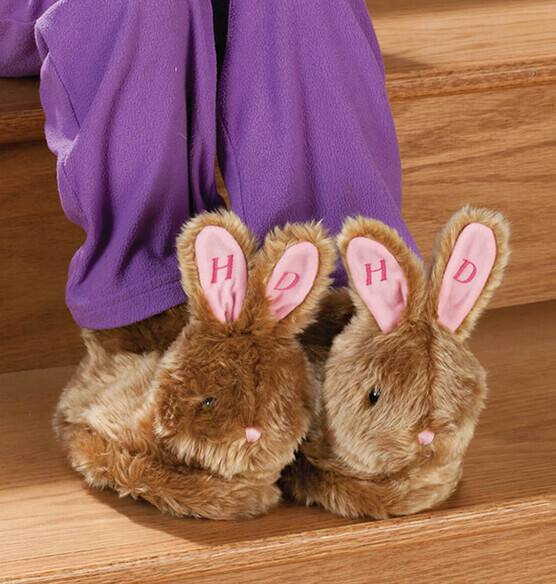 Crafted of soft, plush polyester, these bunny slippers have cushy insoles for comfortable walking or hopping. Cute bunny faces are enhanced with pink noses and ears. Non-slip gripper bottoms ensure safe travels on floors and stairs. Personalize with two initials. 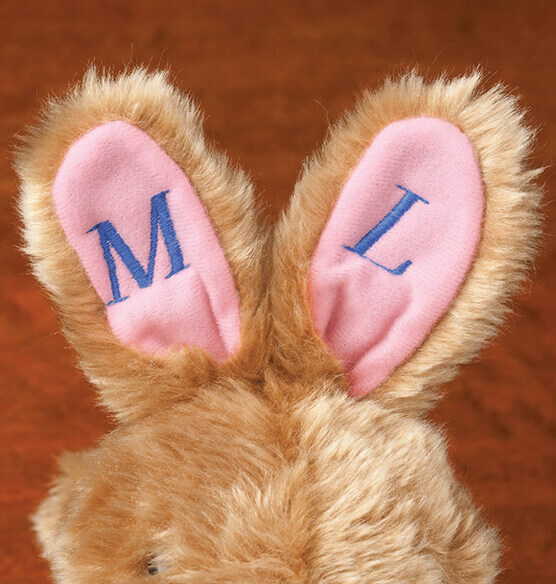 The first initial is monogrammed on the left ear. 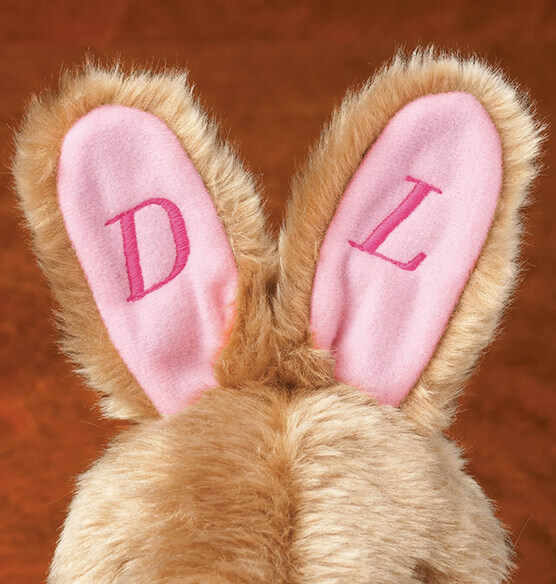 The second initial is monogrammed on the right ear. Spot clean. Imported. Shoes are not true to their sizing, order larger size. It was a early Christmas gift for our grandson, one that he couldn't fit, what a shame.